Self guided and rental bikes. Just want to rent a bike and do your own thing? Great! 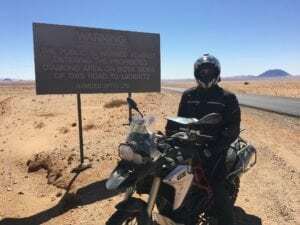 As one of the largest motorcycle tour operators in southern Africa, we can use our motorcycle rental rates to work for you. This also means you get to ride late model, very low mileage bikes at the very best price. We are also happy to assist with GPS tours or even a rough guidelines of cool roads to ride – all up to you! Contact info@renedian.com and let us show you how easy this way of travelling.